I was born and raised in nearby Lynwood, California. 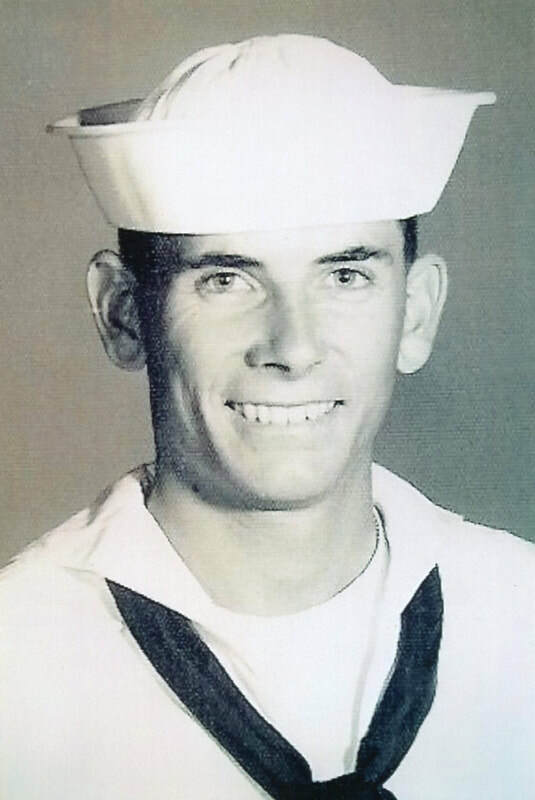 I followed the example of my older brother and brother-in-law and joined the Navy in Sept. 1968, about one year after high school graduation. I received recruit training at US Naval Station in San Diego, California. After Basic Training I qualified for Advanced Training at Great Lakes Training Center, Illinois in Basic Propulsion and Engineering, then Engieman-(Diesel and Small Engine Service and Repair). My next orders were to Naval Support Activity, Danang, Vietnam. Before leaving for Vietnam I attended Amphibious Assault School at Coronado, California. In Vietnam (6/69-6/70) I was assigned to P.B.R. Mobile Base One, a support base for River Patrol Boats in the Perfume River near Hue. After one year in Vietnam, my next assignment was US Naval Station, Guam, Service Craft Division. I served as Engineer on harbor tug boats for the remainder of my active duty. While there I met my future wife, when she came to visit her sister, who was a nurse at the Naval Hospital and married to my friend, also in the Navy. We grew up about 10 miles from each other, but met 6000 miles from home. I was separated from active duty at US Naval Station, Long Beach, California on August 30, 1972 and returned to live in Lynwood. I was married in June 1973 and moved to Lakewood in May, 1978. I have two children, a daughter born in 1976 and a son born in 1979, and four grandchildren.